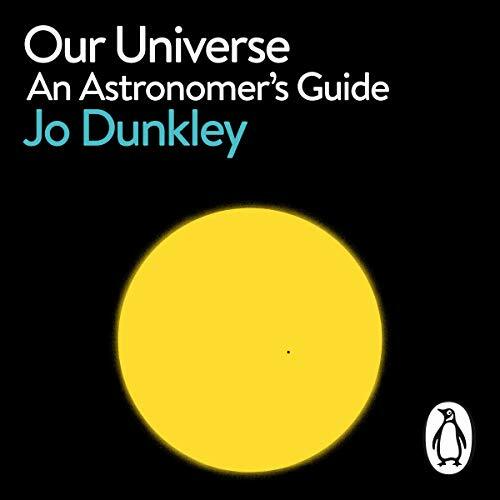 Penguin presents the audiobook edition of Our Universe, a Pelican book, written and read by Jo Dunkley. The night sky is an endless source of wonder and mystery. For thousands of years it has been at the heart of scientific and philosophical inquiry, from the first star catalogues etched into ancient Mesopotamian clay tablets to the metres-wide telescopes constructed in Chile's Atacama Desert today. On a clear night it is hard not to look up and pick out familiar constellations and to think of the visionary minds who pioneered our understanding of what lies beyond. In this thrilling new guide to our universe and how it works, professor of astrophysics Jo Dunkley reveals how it only becomes more beautiful and exciting the more we discover about it. With warmth and clarity, Dunkley takes us from the very basics - why the Earth orbits the sun and how our moon works - right up to massive, strange phenomena like superclusters, quasars, and the geometry of spacetime. As she does so, Dunkley unfurls the history of humankind's heroic journey to understand the history and structure of the cosmos, revealing the extraordinary, little-known stories of astronomy pioneers including Williamina Fleming, Vera Rubin and Jocelyn Bell Burnell.